Yes, Tony Stewart did run over a fellow driver, who was killed. But know the whole story. Incomprehensible tragedy occurs Saturday night at a dirt track in New York. Many of you will wake up to the incomprehensible news that Tony Stewart was responsible for the death of a fellow racer last night. It’s true. But you need to know the whole story – or at least as complete as it is at 5 a.m. ET, when I write this. There is no denying that the death Saturday night of 20-year-old sprint car driver Kevin Ward, Jr., killed when he was struck by the right rear tire of a sprint car driven by NASCAR star Tony Stewart, is a tragedy almost beyond comprehension. His team released a brief statement, but it is generic and probably vetted by lawyers: “A tragic accident took place last night during a sprint car race in which Tony Stewart was participating. Tony was unhurt, but a fellow competitor lost his life. Our thoughts and prayers go out to his family and friends. We’re still attempting to sort through all the details and we appreciate your understanding during this difficult time." Making it so much worse is the excruciating contention, repeated literally hundreds of times last night on social media, that Stewart swerved into Ward intentionally. According to a video of the incident, Stewart was inside the young Empire Super Sprint driver going into turn two of Canandaigua Speedway in upstate New York. Stewart drifted high, and Ward, running out of room, touched the outside wall, spinning completely one time, and coming to a stop pointing in the wrong direction, his right rear tire flat. He climbed from his car, and began striding down the track, obviously looking for Stewart, whose car was approaching at a reduced speed under the caution flag, but still traveling at perhaps 40 mph. Ward was pointing a finger at Stewart’s car and moved toward it. It appears Stewart saw him at the last second, and swerved, but still hit Ward hard enough to toss him like a rag doll at least 20 feet down the track. 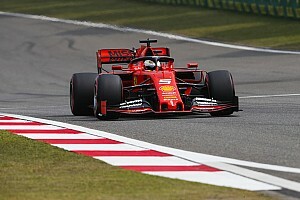 An autopsy is pending, but it seems likely Ward suffered a broken neck, though he still had his helmet and head restraint device on, but the device only works when you are strapped into your car. Stewart stopped about a hundred feet down the track. Emergency workers were there in second. Indeed, Stewart may have hit the gas, but you steer sprint cars with the throttle more than with the steering wheel. The idea that he accelerated trying to hit Ward is beyond the pale. I have driven winged sprint cars, and as you can imagine, visibility to the side is horrible. Ward was wearing a mostly black fire suit and a black helmet. The idea that any driver would purposely hit another over what was a comparatively minor, that’s-racing incident is hard to swallow. That Tony Stewart would do it on purpose? That is unthinkable. There are so many sad coincidences here that the mind reels. This is the same track where, just over one year ago, Stewart sparked a 17-car collision that sent two drivers to the hospital, including a 19-year-old female racer. And just a few days ago, it was the one-year anniversary of Stewart’s own crash in a 360-cubic-inch sprint car identical to the one he was driving Saturday night, breaking his leg so severely in two places that he had to miss the rest of the NASCAR Sprint Cup season. Let me correct one thing I just said: The car Stewart was driving Saturday night was fitted with several safety features that Stewart helped develop, based on his crash and the death of three sprint car drivers last year, including NASCAR driver Jason Leffler. 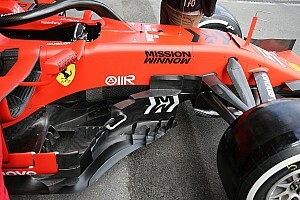 Those safety features included tethers similar to the ones used in IndyCar, and a re-enforced tunnel for the torque tube, which is essentially a driveshaft that runs between the driver’s legs. That tube rupturing is what injured Stewart. He told me earlier this year that if anything good came from his crash that -- like it did when the death of Dale Earnhardt occurred – safety innovations were developed that have likely saved other driver’s lives. And a final irony is that Saturday night, 820 miles due west from Canandaigua, New York, the biggest sprint car race of the year was being held – the Knoxville Nationals, in Knoxville, Iowa, featuring all the World of Outlaws sprint car stars, and the top drivers from other series. The feature there was just about to get rolling when Stewart’s accident occurred. 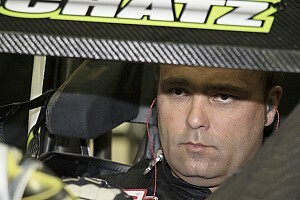 The winner of the Knoxville Nationals, for the eighth time – Donny Schatz, who drives for team owner Tony Stewart. In fact, Stewart was in Knoxville earlier this week, cheering on his team, which also includes soon-to-retire sprint car legend Steve Kinser. Why does Stewart do it? After Stewart’s own crash, he took a lot of criticism about how someone of his stature should not be racing sprint cars – that so many employees and sponsors depended on him, that he simply shouldn’t participate in something so dangerous. Some of those people will be waiting for a respectful time to pass before they say, “I told you so.” Others won’t even wait that long. Stewart said that of all the types of cars he has driven, winged sprint cars were the most challenging, and that he needed to challenge himself. Some of his fellow drivers understood, others did not. 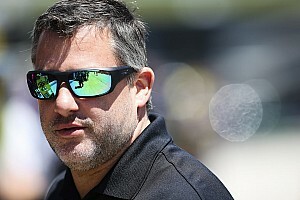 Not long ago, I asked NASCAR driver Greg Biffle – who, like Stewart, came up racing on short tracks – what he thought of the fact that a healed-up Stewart had said that he was about to go back to sprint car racing. It’s in our blood. Driving race cars is what we do. “It’s in our blood. Driving race cars is what we do. I like to ride dirt bikes and ride my ATVs and I have a sand car, and if somebody told me I couldn’t do that anymore I’d be devastated. I’m different from Tony, or Kasey Kahne or Clint Bowyer – I get my fill of racing from NASCAR, so my fun activity is to get to go play in the sand or the desert. That’s what I love to do. 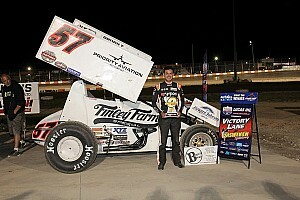 As for what he gets out of sprint cars: He did a conference call with some of us just after he returned to sprint car racing on July 18, winning his first time out at the Tri-City Speedway, a dirt track in Michigan, where he showed up unannounced to run a 360 sprint with the SOD (Sprints on Dirt) series. As I write this, it is difficult – impossible, really – to imagine the storm that is about to rain down on sprint car racing in general, Tony Stewart in particular. Having covered him since his original short-track days, I wish I could tell you about the charitable deeds you don’t know about. About how we once admitted to each other that we each had a Chihuahua dog, that happened to sleep in our bed, and how we must never again say that out loud in public. About how, when he briefly owned a few racing Greyhounds, that he would fly them to new owners in his private jet when they retired. 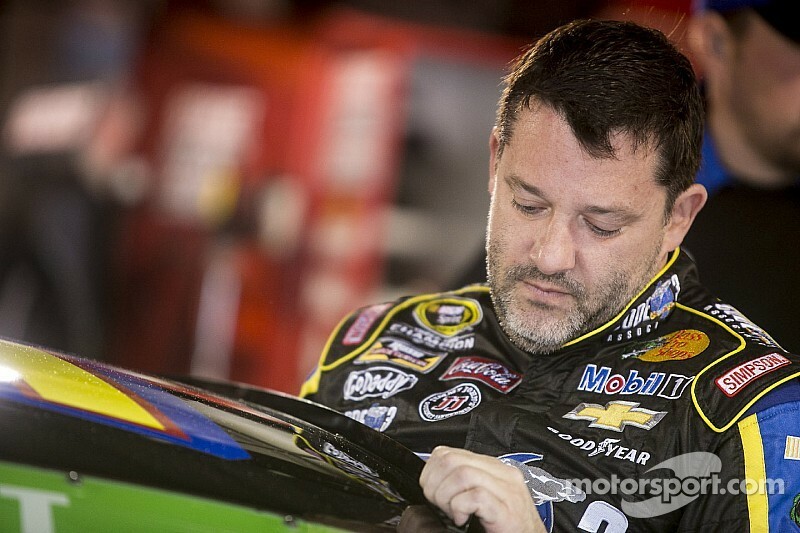 Tony Stewart is as gruff as they come, but he has the biggest heart of any professional driver I have ever known. I can only imagine how his heart is broken for causing the death of another young driver, and to have people insisting that he did it on purpose. I can imagine how bad that is: I can not imagine what the friends and family of Kevin Ward, Jr. – described in one Facebook post by a friend as “the nicest folks who ever walked the earth” – must be going through. This story will be enormous, the repercussions far-reaching and likely devastating on multiple levels. No matter what happens at the NASCAR Sprint Cup race this afternoon at Watkins Glen, where Stewart is supposed to start 13th – the number of Kevin Ward’s sprint car – this tragedy will eclipse everything, and will for a long time. I’m praying for Kevin Ward’s family, and for Tony Stewart. If you are so inclined, maybe you can, too. Services set for Kevin Ward, Jr. Drivers Dale Earnhardt , Tony Stewart , Jason Leffler , Greg Biffle , Kasey Kahne , Donny Schatz , Steve Kinser , Clint Bowyer , Kevin Ward Jr.